Water is essential to our wellbeing. With estimations that 60 percent of our body is made up of water, we need an adequate amount each day in order for the body to carry out vital processes. Water helps the human body with digestion, cell growth and reproduction, regulate temperature, sweat, flush out waste, lubricate joints, help the brain manufacture hormones and so much more. Knowing how important water is to our overall health, you may be curious to learn ways to drink more water. With the hustle and bustle of every day life, being cognizant to our water consumption come sometimes take a back seat. We lose water each day through urination, sweating, breathing, bowel movements and other bodily processes. And how much we should add back into our body each day varies depending on our body weight, size, level of activity, climate we are living in and more. Most people do not like drinking water because it has no taste. Luckily, there are a wide variety of veggies, fruit and herbs you can add to a pitcher of water that can liven up the flavor. Try things like blueberries, grapefruit, lemon, cucumber, mint, ginger, raspberries, celery, pineapple, basil, lavender and more. Be sure to always have a glass of water handy anytime you are about to eat a meal. Not only will it serve as an easy way to drink more water, but will also help you feel fuller so you consume less calories. Did you know adding spices and spicier foods to your culinary repertoire is another great way to drink more water? It’s true, spice and hot food naturally make you desire water. If you are more of a techie person, consider downloading a handy app to your phone that can help you track the amount of water you are consuming each day. Sometimes the accountability of an app can help someone be more diligent in reaching a goal. 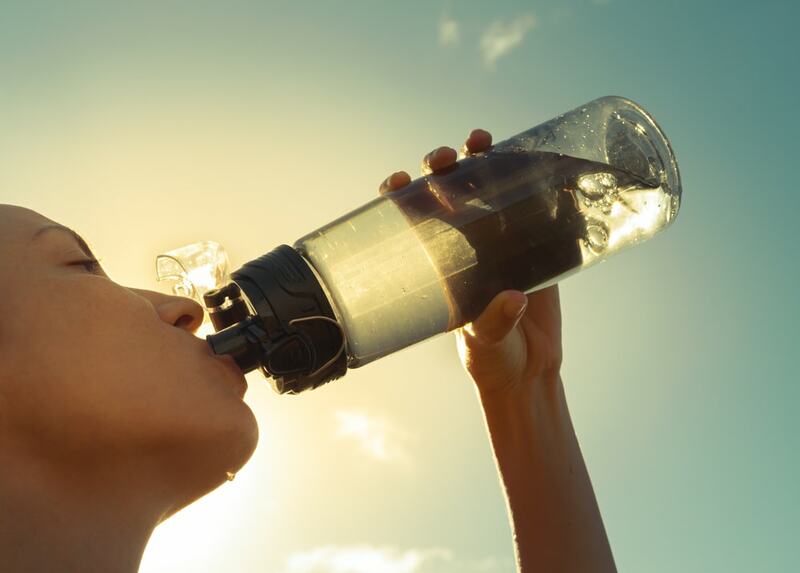 Another easy way to drink more water is to dilute the drinks you currently consume each day. For example, if you have a glass of fruit juice each morning with breakfast, dilute the liquid with water and ice. You will still have a sweet treat, and over time you will be surprised at how you become accustomed to the diluted flavor. One way to liven up your water adventures is to opt for a plain or flavored sparkling water, or choose a mineral water. Flavored seltzer with a piece of lemon or lime is similar to consuming a fancy drink without the extra calories or sugars of a soda or fruit juice. Did you know adding more water-saturated foods is a great solution when you are wondering how to drink more water? Items such as watermelon, cucumbers, grapefruits, celery, and zucchini are made up of large amounts of water! Many of us are on the go, so it is wise to invest in a smart water bottle that can track your water intake by amount in ounces, or in time frame (for example, the bottle would be marked with different times of the day).